Our Feature Car Pages now has multiple Sections. The first section includes all of our in depth coverage of our Feature Muscle Cars that we have seen and find to be exceptional in some way. On each Featured Car’s own page you will be able to see in-depth feature car photos and discussion of each car. These are not just photos and comments, we are talking detailed photos and real stories from the owners as well as my own perspective on the car. We will not be limited by the number of pages or photos. On some Feature Cars we will be including videos and on others you we will include audio so you can actually hear the big block roar! You will have plenty to see. Our second Feature Car section includes an in depth search and documentation on the rare factory Regional Promotions the Factory Specials. These are the cars THE FACTORIES BUILT; not a dealership. No Copo Camaros or Motion Performance cars, these have been built by the factory. However, we need your help by sending us the information we need. We are on a search to find as many different cars and document them as we can. So start hunting and send us your info. Feature Car Section three is your page it is for our Friends. These are photos of cars our friends drive and show or they are photos of cars you have sent in to share with other visitors to our site. Feature Car Section four is for the; Rat Rods. It seems the interest in Rat Rods continues to grow so we have added this Section just for you die hard Rat freaks. Feature Car Section five is for the Prototypes. The cars that were the inspiration for the new cars years or even decades into the future. You have to see these. Section six is were the heavy hitters are; the Race Cars. We have eveything from real vintange race cars to race cars converted to street use! 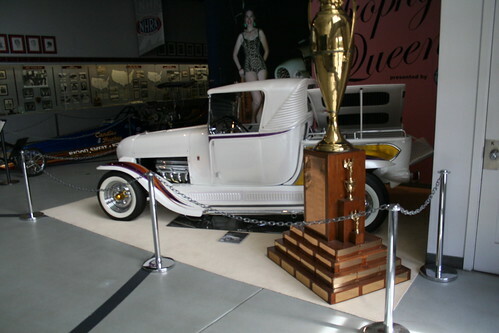 Show Cars are always a favorite of most people and they can be found in Feature Car section seven. Feature Car Section eight is for eveything else we couldn’t put into a classification. 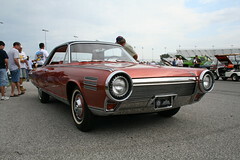 It is for our Other Feature Cars; everything from a Smokey Yunick experimental to a restored Turnpike Cruiser. This page is eclectic! Muscle Cars Click Here, to visit our Feature Cars Gallery and select the car you want to see in more detail. Factory Specials Click Here to go to our Factory Specialspage. Click Here to go to Resotmods’ Page. Rat Rods Click Here to go to our Rat Rod Page. 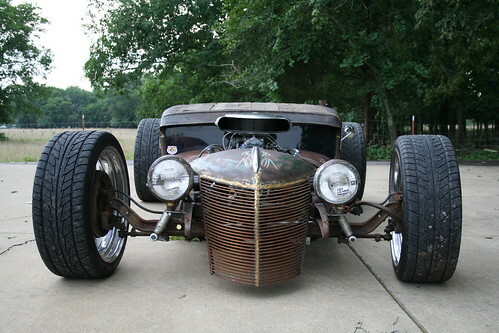 This was our very first FEATURE CAR; what could possibly be the wildest most radical Rat Rod in America. Click here and enjoy and give us some feed back on what you like and your ideas for cars for us to Feature. Concept Cars and Prototypes Click Here, to visit our Prototypes. Race Cars Click Here, to see some great race cars up close. 1966 Ford GT40 Mirage in Gulf Oil livery at the Black Hawk Automotive Museum. Show Cars Click Here, to go to our Show Cars. Other Feature Cars Click Here, to see the remarkable cars that don’t fit in our other categories. Where can I send all the info covering my car???? Have a write up and lots of photos I would like to send to see if you may want to cover it on your site….thanks let me know! Tyson, you or anyone else with a car they would like to see featured on our site can send the photos and information on the car to Richard@LegendaryCollectorCars.com. Please be aware that we have a limit of 5mg per email on photos so if you are sending multiple large photos please break them down into multiple emails. We will try to post all cars forwarded to us either on the Feature Car page or on our Friends’ Car page. Thanks for you inquiry.